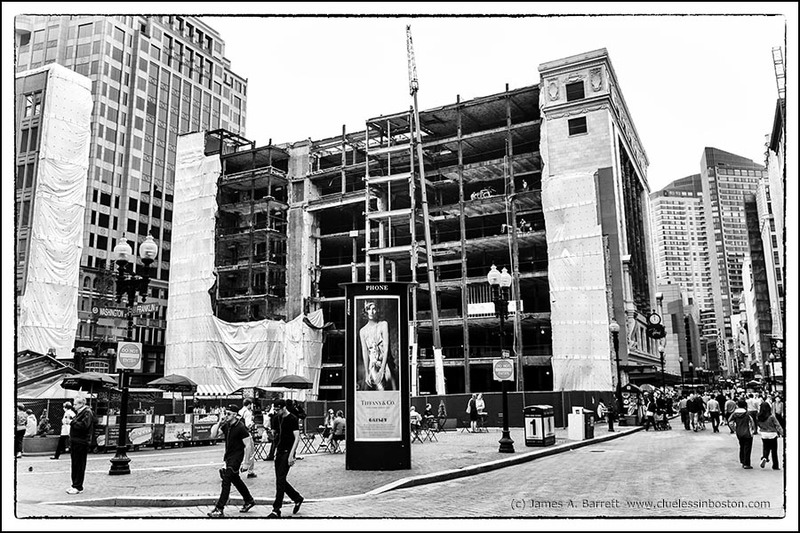 Work has begun on the old Filene's building in Downtown Crossing. A developer is going to build a $630 million complex of new offices, stores, and luxury homes. Good news for the blighted area of Downtown Crossing; it has been an eyesore for far too many years. Initial plans call for rebuilding the original Filene’s into a retail and office building. Some months later construction will begin for a 50 story tower containing apartments, condominiums and additional stores. I am glad this area is finally getting some attention. When I lived in Boston, this area was bustling. That tells you how long it was! Interesting.... I didn't realize Downtown Crossing had suffered so in recent years. I have fond memories of shopping in that store along with Jordan Marsh (which I assume has also gone defunct). Very interesting composition, I like a lot this street scenery as subject of pictures! Looks as though the building used to have a rather grand frontage, like old 1920s cinemas. things are looking up in this part of boston. really interesting contemporary urban image. Finally! Keep us posted on the progress.